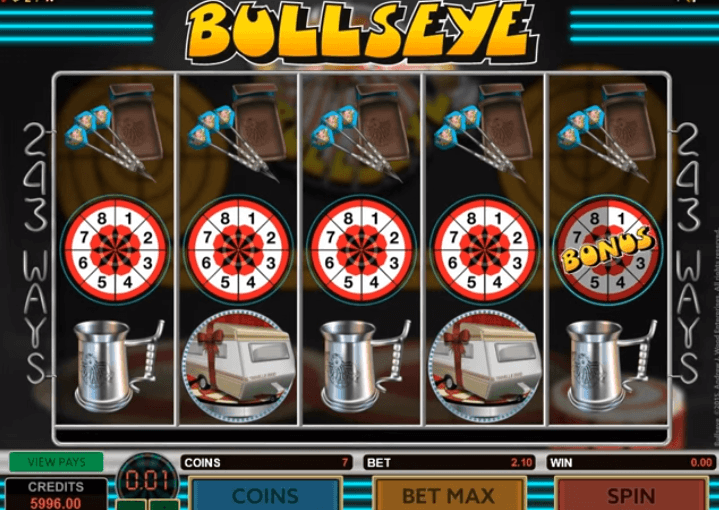 Bullseye is a throw-back Video Slot reminding us of the days when lads met at the local country bar to share pints of beer and play darts. It is a 5-Reel Video Slot with 243 Ways to win, offering players incredible features including the Free Spins Bonus, which doubles up all winnings. Players can also enjoy Stacked Wilds and the special Bonus Game which can award them up to 15 times their bet.